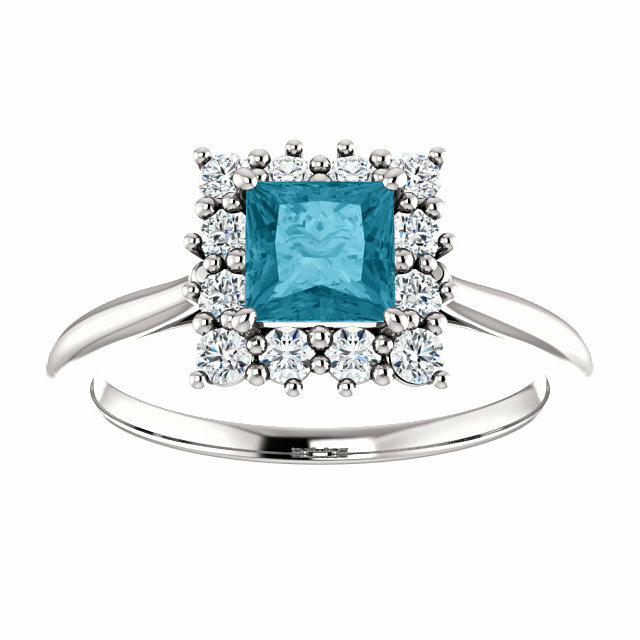 You'll feel like a real princess wearing this beautiful and high-end London Blue Topaz Square Princess-Cut and Diamond Halo Ring crafted in solid 14k white gold. 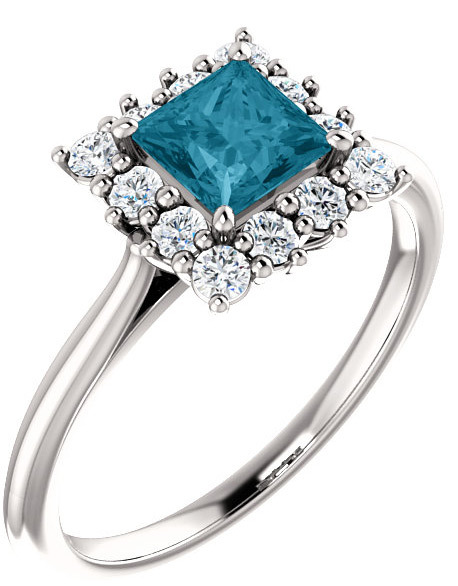 The deep, dark blue color of the topaz gemstone contrasts beautifully with the genuine white diamonds which surround the ring, creating a "halo" effect. There are a total of 12 round white diamonds of 0.03 carats each, making up a total of 0.36 carats of quality full-cut diamonds in G-H Color, SI1 Clarity. 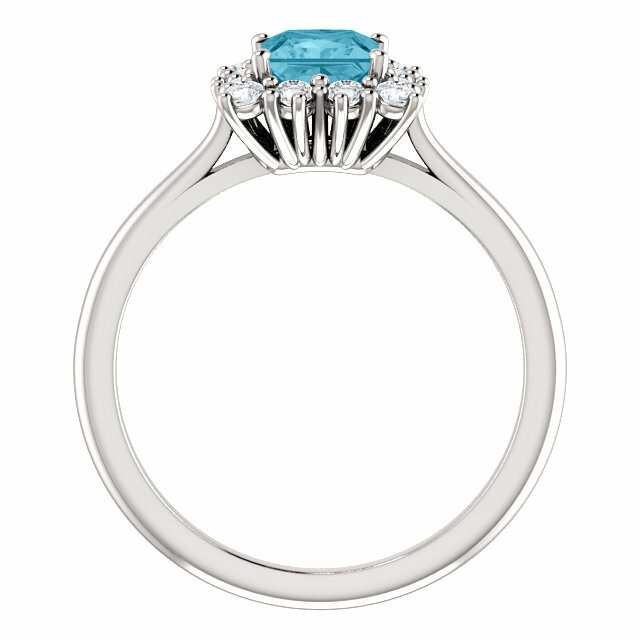 The London blue topaz center gem is a 5mm x 5mm square princess-cut stone with a high "AA" rating. This ring is available in women's sizes 4.5 - 9. Turn this ring into a bridal wedding and engagement ring set with our matching 14k white gold band (shown below). We guarantee our London Blue Topaz Princess-Cut and Diamond Halo Ring, 14K White Gold to be high quality, authentic jewelry, as described above.